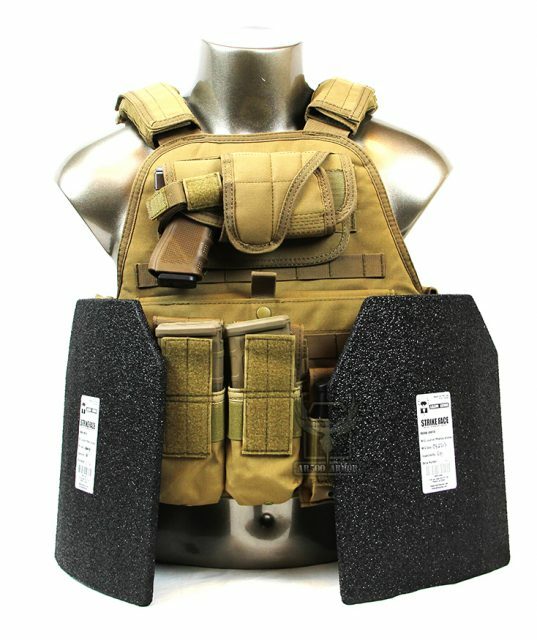 Level III AR500 armor has gained immense popularity in recent years. It is thin, affordable, and extremely durable. It will not crack if dropped like ceramic plates and is significantly less expensive, if a little heavier. This makes it attractive for preppers or even for training use or a knock around rig that can stay in a trunk for LEOs and security professionals. There are also a growing number of people who have decided to include armor in their home defense plans and AR500 armor offers some significant advantages with little perceived disadvantage. As the saying goes, “There ain’t no such thing as a free lunch,” though. AR500 armor is a great value but it is not perfect. We can see here that even out of fairly short barrels, high velocity .223 varmint ammunition can defeat Level III armor at home defense distances. To be clear, it is not designed, nor marketed to protect against such a threat, and it does a fantastic job of defending against the threats for which it was designed. It will stop any handgun ammunition and most common rifle ammo. The video shows it stop two rounds of 7.62x51mm, even after being defeated by the .223 varmint ammo. It also will stop MOST 5.56mm or .223 Rem. It only has difficulty with very high velocity ammunition at very close range. Please do not take away the impression that Level III armor is useless. Before you purchase a set, though, you should be fully aware of its limitations. If you want protection from an even wider range of threats, you may wish to consider Level III+ or Level IV plates. Be sure to do your homework, though. Level III+ is not a NIJ standard, just a declaration by the manufacturer that it will stop more than a Level III plate. Some will perform admirably and will reliably stop high velocity .223/5.56mm threats, while others will not. As with any other defense oriented purchase, it is in your best interest to research your choice thoroughly and as always, software > hardware. That is to say, your training matters far more than your equipment. Keep training.